As new satisfied owners of your shutters, we would like to thank your Sales Rep for leading us down the right path to start with, and then the installation team. It was so pleasant having them around and they were indeed efficient In their job. 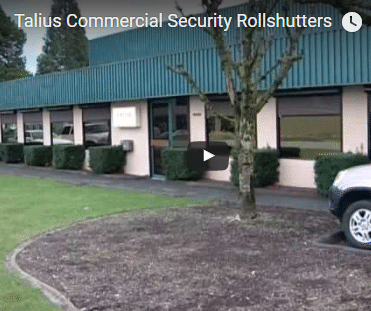 I wish to take this opportunity to thank you and your team for a great job installing our roller shutter. Starting with your visit to the administration staff to the guys that installed the roller shutter, we were impressed with the professionalism and communication received throughout the process. We will certainly recommend your company and use you again in the future. 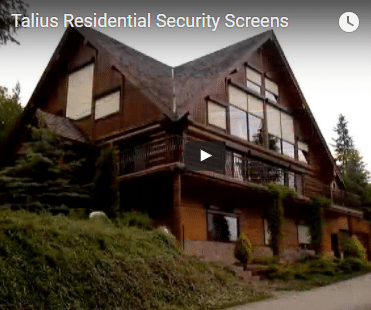 Talius was very professional to deal with in every department from the sales representative to the office staff and installers. We would be pleased to recommend your company and please feel free to use us as a reference at any time. Jim Niblock and Frances Armstrong. I absolutely love my shutters. Thank you again Talius for a stress-free and pleasant experience with an excellent outcome. Seldom have I embarked on a home improvement project and have it go so smoothly. 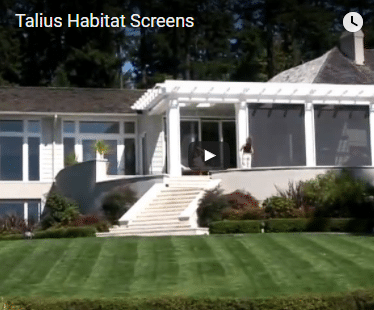 “Since we installed TALIUS Habitat Screens, the feeling of relaxation and privacy that we get from being outside on the porch has been tremendous. The porch is now like another room on the house. Instead of fighting bugs, we sit in total comfort. Whenever I sit in my screened in porch it feels like I am on vacation. I particularly like the ease with which the screens go up and down in seconds.